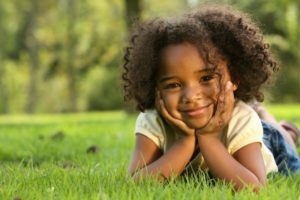 Studies show that children’s minds are the most malleable between the ages of zero to one, which is why you’re so eager to instill the best traits and habits that you can during this time. One thing you’d like to occur is for the practice of excellent oral hygiene to become second nature for your children, but you’re not quite sure how to effectively teach them the correct habits. Thankfully, your pediatric dentist in Birmingham will weigh in with some information that will make the achievement your goal of excellent oral health for your children much easier. Educational TV shows – If you allow your little ones to watch television, then you can seek out programs that teach healthy practices like brushing and flossing teeth. Create a dental chart – A dental chart is a great way to constantly remind your children of the steps they need to take in their oral practices. You can go through magazines to find pictures that coincide with each step of the oral hygiene regimen and put the images together to form the chart. Lead by example – The old saying that “association brings on assimilation” still holds true today. Therefore, it will help tremendously in your children’s development of excellent oral habits if they witness you practicing the same routines. Involve them in the process – There’s nothing like engagement and involvement when it comes to learning and retention. So simple activities like taking them to the store and including them in selecting such items as the toothbrushes and toothpastes is a great way to give them a feeling of ownership in their oral health. Teach them about health risks – Children need to know the implications of not caring for their teeth properly. That means they should be familiar with how such maladies as cavities, gum disease and tooth loss come about. Teach proper technique – Now that you’ve made them aware of why it’s so important to practice excellent oral hygiene, it’s also quite necessary to equip them with knowledge of the proper techniques for brushing and later on flossing. A final way to ensure that your kids understand the importance of good habits is to introduce them to their pediatric dentist after the first tooth erupts and no later than the age of two. This serves the two primary purposes of allowing your dentist to develop a rapport with your little ones, so they will feel comfortable, and it ensures that a professional eye has their oral development under safe watch. So you can rest assured that your children will be set on the right path for the future when you reach out to your local professional for guidance and care. 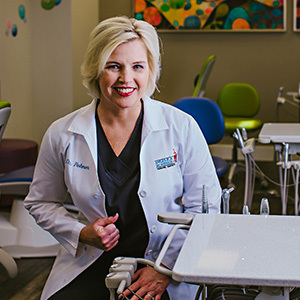 Dr. Angelica R. Rohner earned her dental degree from the University of Mississippi School of Dentistry and then went on to complete a two-year internship/residency program in Pediatric Dentistry at Children’s Hospital of Alabama and the University of Alabama at Birmingham. A Diplomate of the American Board of Pediatric Dentistry, Dr. Rohner practices at Angelica Rohner Pediatric Dentistry and can be reached for information through her website.